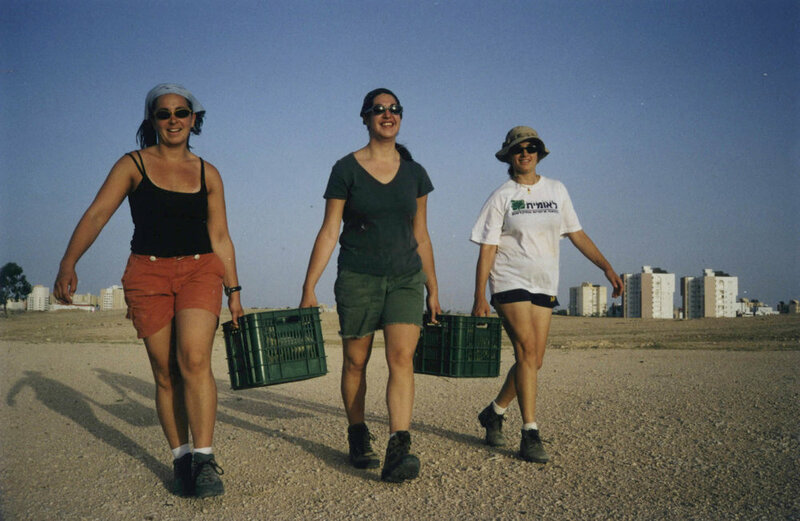 The four days leading up to Rosh Chodesh Sivan (lit: head of the new month of Sivan), I invited three women to join me in creating a desert Labyrinth. The piece was to be built entirely from materials on site and a 20-minute walk out into the desert from the center of the small development town where we were living, studying and creating. The month of Sivan hosts the holiday of Shavuot, a holiday in the Jewish calendar in which the Jewish community celebrates the receiving of the Torah, the central text of the Jewish people. It is about journeying – marking 40 years of wandering in the desert, of searching for home and moving toward homeland both physically and spiritually. The text of the Torah, whose receiving we celebrate, is like a homeland without land. It is where the Jewish people find home yet the wandering does not end. 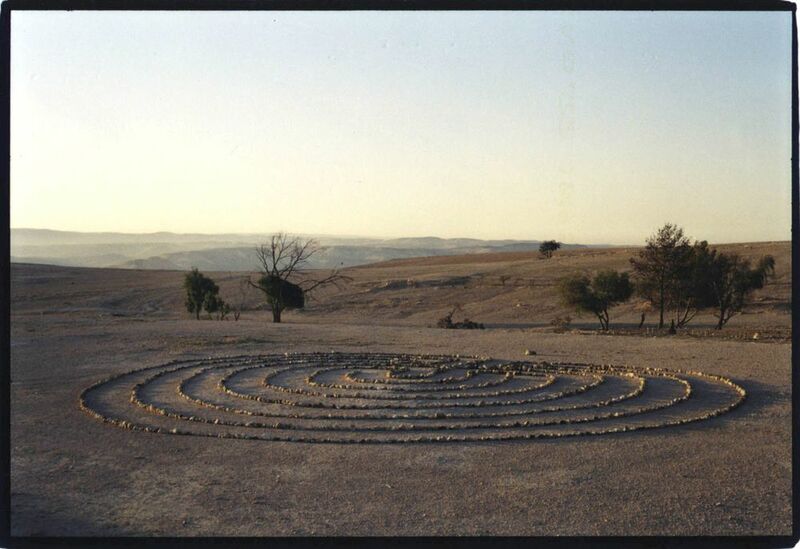 The labyrinth, though traditionally sourced from Christian, Pagan and Islamic roots, is also sourced in esoteric Jewish writings and appears in both visual and written sources. The legendary story of the walls of Jericho being brought down by the sound of Joshua’s trumpet and the seven circles the army makes around the walls has been, in some sources, considered a 7-circuit labyrinth. Drawings of the Kabbalists (Jewish mystics) depict labyrinth-like maps that symbolize the movement from one “world” of consciousness to another.